Be the first to share your favorite memory, photo or story of Jackson. This memorial page is dedicated for family, friends and future generations to celebrate the life of their loved one. 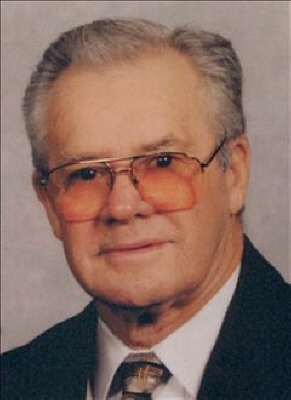 Mr. Jackson Eugene Richards, age 91, of Kennesaw (formerly of Jasper) passed away Tuesday, January 22, 2019 at Canterfield of Kennesaw. He was born June 6, 1927 to Robert and Irene Richards in Bedford, Indiana. Jack is survived by his son and daughter-in-law, Rick Richards and Lori Lee Maxim of Marietta. A Graveside Service will be held 3:00 p.m., February 8, 2019 at Georgia National Cemetery in Canton, Georgia. In lieu of flowers, donations may be made to Mt. Zion Baptist Church in Jack's honor. To send flowers or a remembrance gift to the family of Jackson Eugene Richards, please visit our Tribute Store. "Email Address" would like to share the life celebration of Jackson Eugene Richards. Click on the "link" to go to share a favorite memory or leave a condolence message for the family.